The website platform you'll never outgrow. liveSite is the affordable enterprise website platform. We create “peace of mind” by handling everything from setup and migration, to hosting, monitoring and ongoing support. 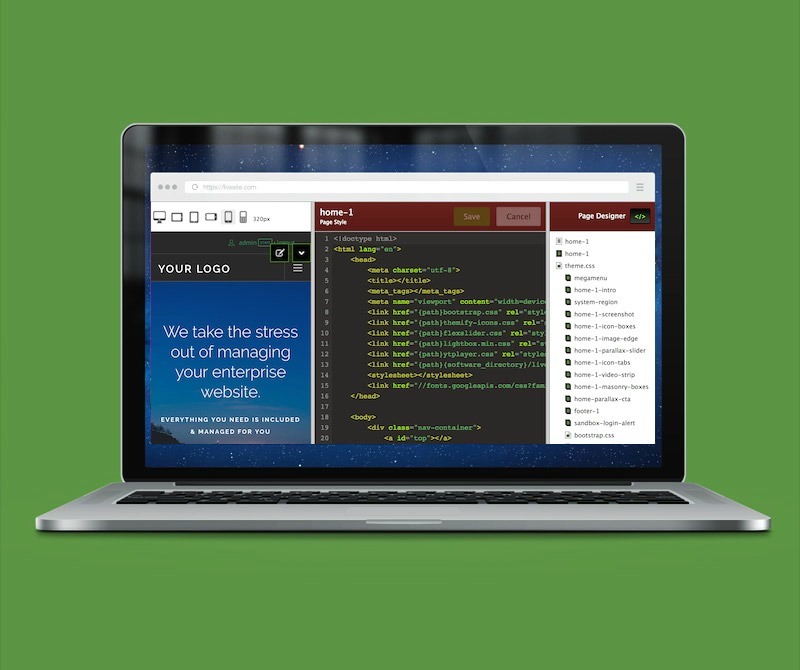 One reliable, flexible, and scalable website platform that you won’t outgrow. Integrate information and payments online for your clients, customers, staff, members, donors, volunteers, and everyone in between. With no hidden fees, long-term commitments, and unlimited user licenses, you pay one low price no matter how big your organization is. With integrated customer segmentation, promotion, contact management, SEO, social media, and email marketing, liveSite offers one seamless solution that ties all your touchpoints together, under your control. Armed with only a web browser and internet connection, each of your teams can securely access their own areas of your website to publish pages, post to blogs, build registration forms, and manage their own mailing lists and group calendars. 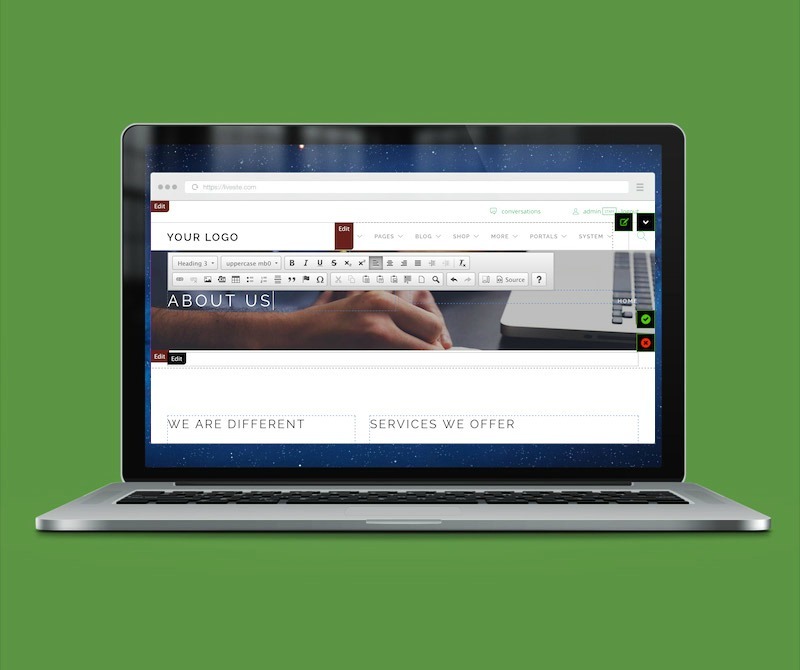 We take the stress out of managing an enterprise website. With our integrated approach to content migration, features, upgrades, security, software customization, monitoring, and support, all you have to do is delegate who does what. Create a web design using any responsive framework you already know. Import your design assets in seconds and edit them with our built-in Page Designer. 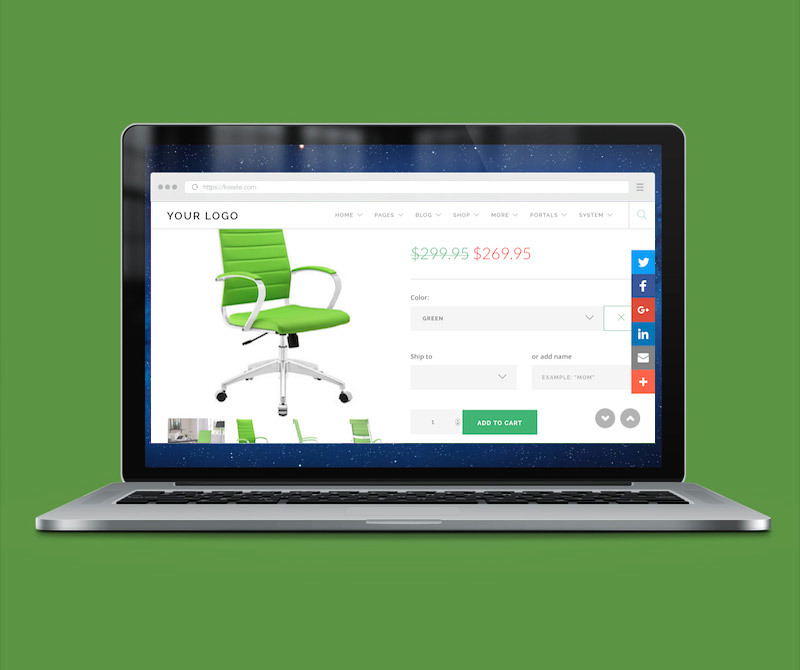 Import your entire existing website files and any custom responsive HTML design assests in seconds. Get instant access to visitor trends, the most recent site updates, and the most recent activity across your entire website as soon as you login. There are infinite ways to delegate user access to any feature or section of your website securely. 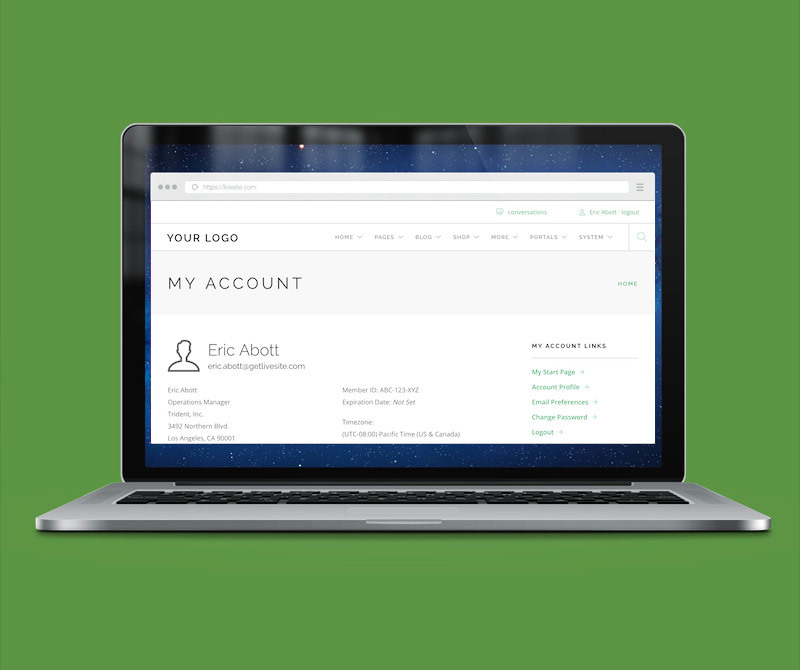 Create intranets, extranets, and custom member portals with ease. Powerful CMS features allows your staff to create and update website content easily. Site maps, tag clouds, full-text search and SEO metadata are updated in real-time. 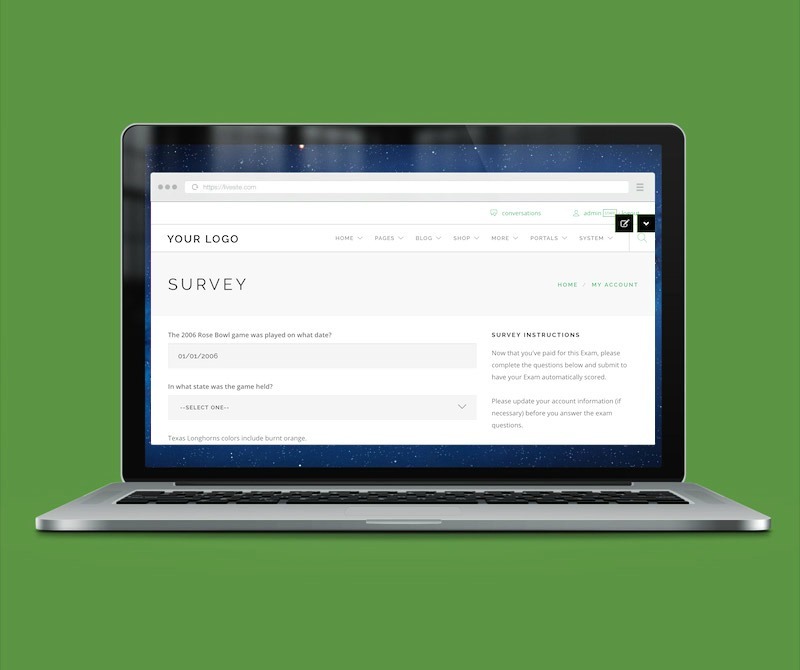 Your staff can quickly create their own ad-hoc online forms to gather information securely from any user group for event registrations, membership trials, and even online quizzes. The integrated contact database is populated as site visitors interact with your site. Powerful email campaigns features turn this data into segmented mailing lists. Invite your members by trial sign up form, or have them register using a security code you provide. 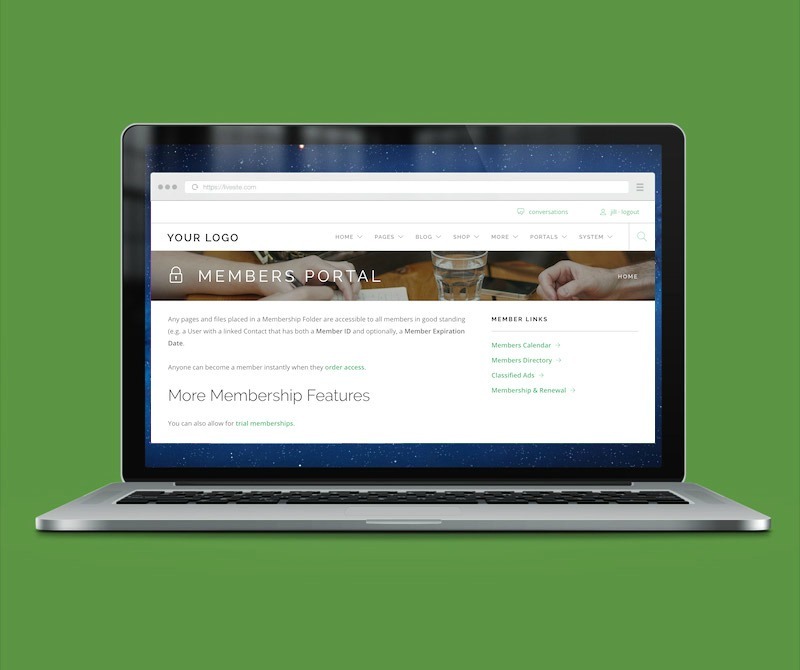 Create a members-only portal to publish selective information, gather information, and collect dues. Create blogs for your leadership and forums for your communities complete with RSS feeds, social network sharing, tags, and search built-in. And valuable feedback can be collected on any page. Create calendars for each team to manage. Calendar events can be drafted for approval and published later. Display event tickets for sale on your calendars. Room reservations can also be checked for conflicting bookings. Take payments for almost any type of product, service, event, ticket, dues, or donation - all on the same order! 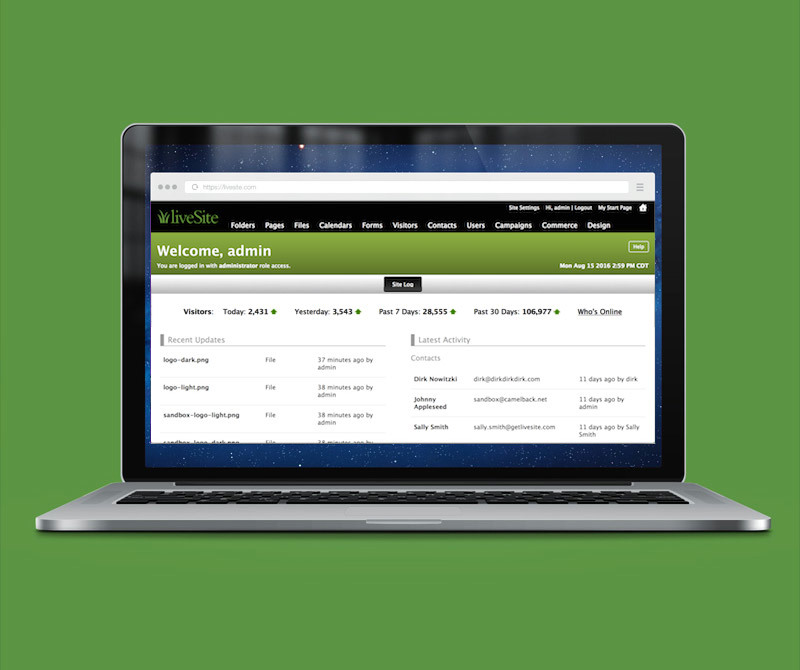 Create storefronts with multi-recipient shipping, or custom order forms for recurring services or booking time. Create custom database forms to collect information from any group of users on your site and create custom and secure data views to display the information collected to privileged users. Successful businesses and organizations of all types are powered by liveSite. 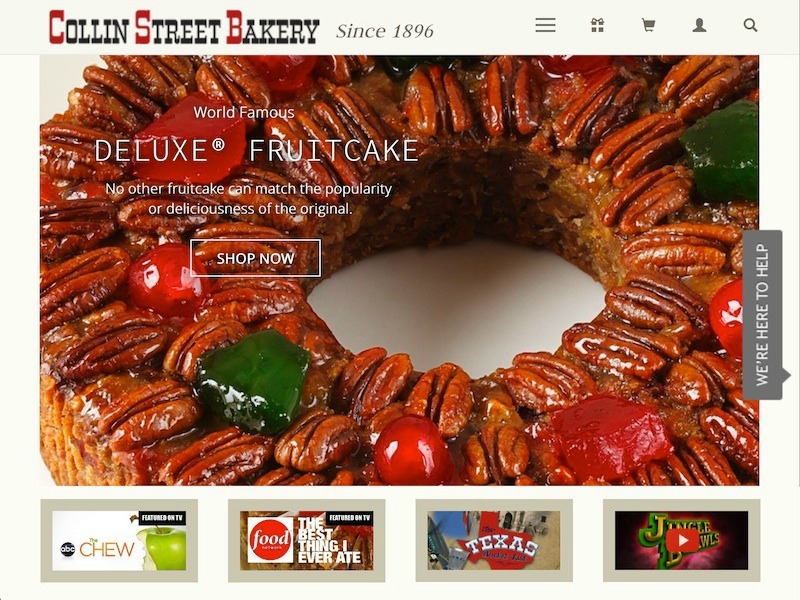 A leader in the gourmet gift business for over 100 years and serves over a million customers in 296 countries. Serves more than 560,000 Catholics in 97 parishes and missions, and 20 schools. With over 16,000 members, three physical campuses, and eight worship venues, Highland Park United Methodist Church is among the largest churches in the country. The latest news and information from our team. Is Your Website Exposing Your Business to a Lawsuit? 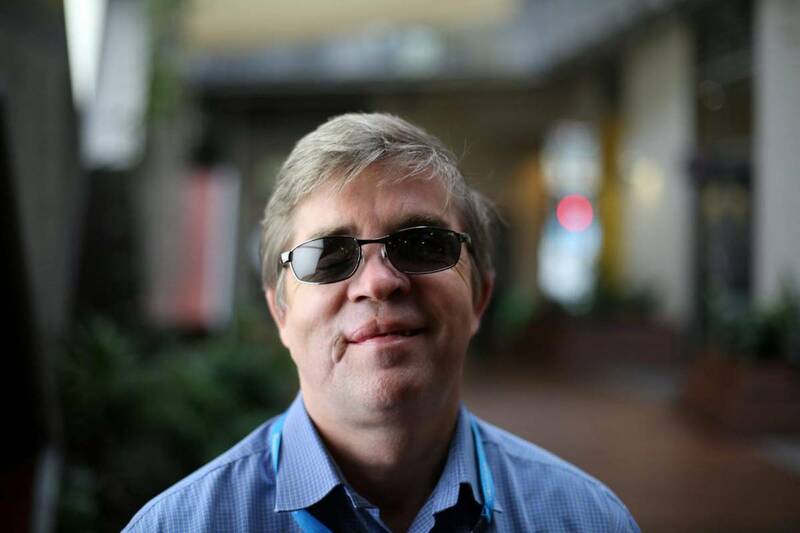 Many people have disabilities, including visual or hearing impairments, which affect their ability to interact with your website. If you don't make an effort to accommodate them, they could start fighting back. Hundreds of mission-critical websites are powered by liveSite. We have plenty of new reasons yours should be too — baked right in. 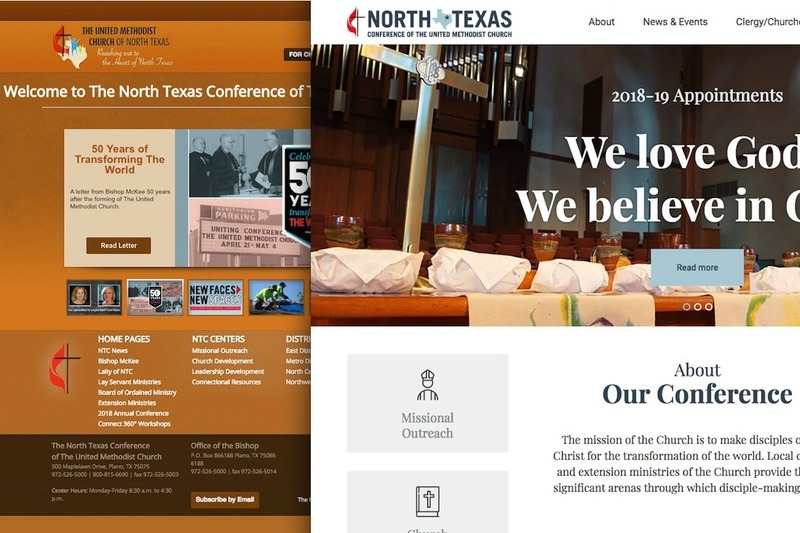 The North Texas Conference of The United Methodist Church has a new website developed by Camelback Web Architects and powered by liveSite. liveSite is a very robust website platform, with an easy to use interface which we have relied on for over a decade to run our global e-commerce business. 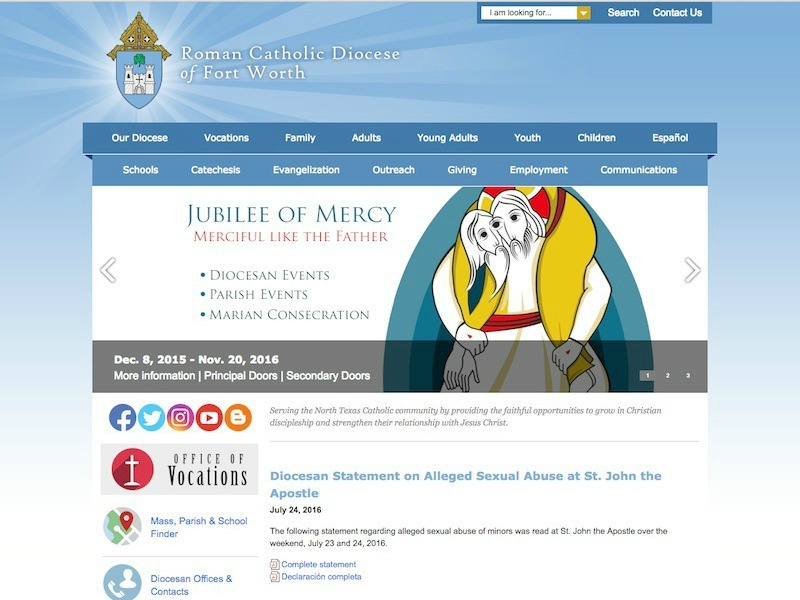 liveSite is an incredible website platform and one we have relied on to manage communications with the public and our parishioners, ministries, schools, and churches. 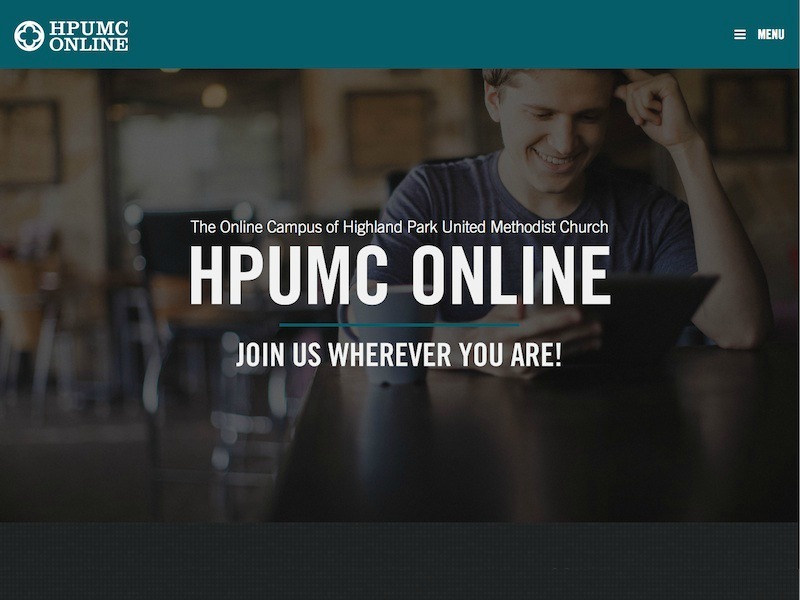 We created an online campus for our large church quickly and cost-effectively, without sacrificing features or flexibility. liveSite rivals all the more expensive website platforms out there. I love being able to just send someone a handout and their login credentials and know that they can get started right away, which is a testament to the ease of use of liveSite. For ten years, liveSite has proven to be an excellent technical partner for our web activities. They are always reliable and continuously innovative. liveSite is an amazing website platform and turned out to be the perfect choice for us. Thanks to liveSite, we now have a powerful and effective website with more capabilities and a lower price tag than we ever thought we could achieve. 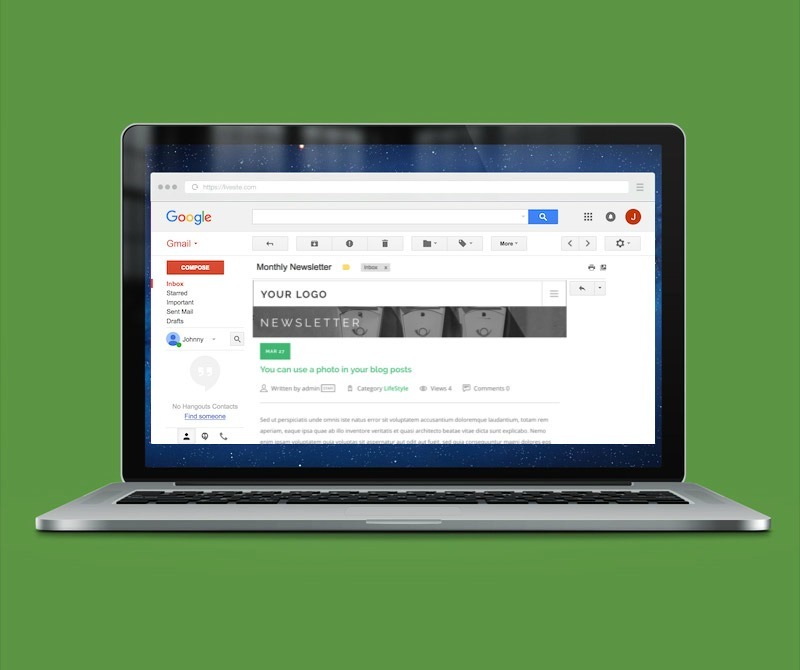 We won't share your email with anyone ever. Building custom website solutions for organizations of all sizes for over 20 years. © 1996-2019 Camelback Consulting, Inc. simply innovative.